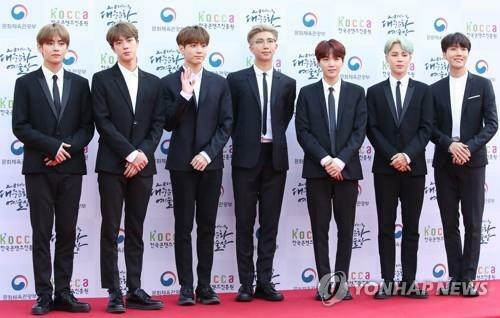 SEOUL, Nov. 6 (Yonhap) — Following sold-out concerts in North America and Europe, K-pop boy group BTS is gearing up for performances in front of Asian fans starting this month. 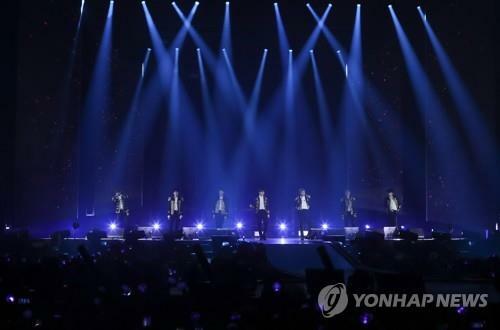 According to BTS’ concerts schedule released by Big Hit Entertainment, the seven-member act is scheduled to stage 17 concerts in eight Asian cities and countries, including Tokyo, Osaka, Nagoya, Fukuoka, Taoyuan, Bangkok, Singapore and Hong Kong. The group’s Japanese leg of the “Love Yourself” world tour will all take place at domes, the country’s biggest concert venues. It will perform in Tokyo next Tuesday and Nov. 14; in Osaka on Nov. 21, 23 and 24; Nagoya on Jan. 12 and 13; and Fukuoka on Feb. 16 and 17. In Japan, BTS held its first dome concerts ever in Osaka in October last year. According to data released Monday by Nikkei Entertainment, the septet ranked No. 19 in concert attendance in Japan this year, outperforming the popular Japanese bands Mr. Children and Exile The Second. It will also perform in Taiwan’s Taoyuan on Dec. 8 and 9; in Singapore on Jan. 19; in Hong Kong on March 20, 21, 23 and 24; and finally in Bangkok on April 6. Separately, the group is set to jointly perform with Charlie Puth at the 2018 MBC Plus X Genie Music Awards later in the day. The awards ceremony takes place at Namdong Gymnasium in Incheon, west of Seoul.